In this course, you’ll work through two paintings suitable for framing! Taught in real-time, each pass of the process is broken into a separate video with drying time between. The main teaching is about negative painting – painting the spaces between objects rather than the objects themselves. 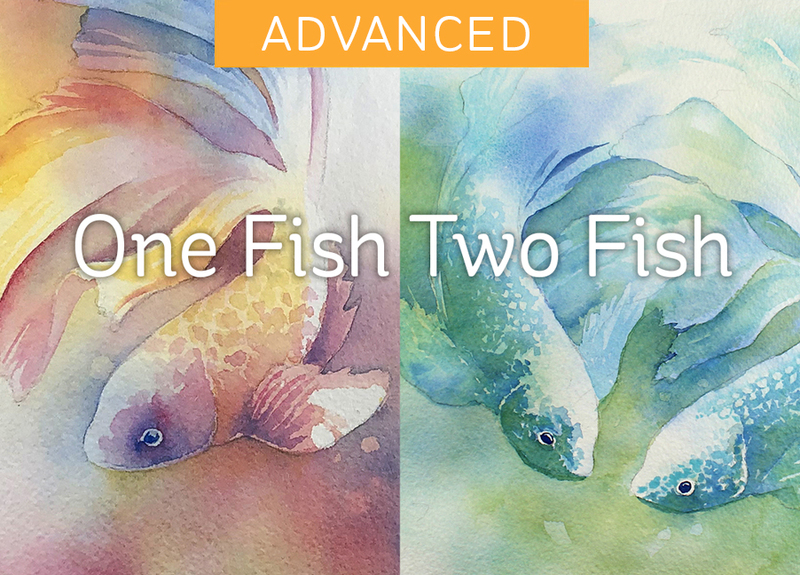 Creating edges will also be a big focus in this course; learning to blend soft edges and vary with hard edges creates great variance in watercolor paintings.